At European Springs we find it fascinating to be spring manufacturers, making vital components for an array of different pieces of technology and facing new challenges every day; but it&apos;s also interesting to see what else the engineering industry has to offer, with new, innovative start ups in progress every day! The engineering industry really has come leaps and bounds in technology, creating machinery which has been marvelled at in the medical industry as well as pieces of engineering which could aid in search and rescue missions, but the latest innovation will now help quench even the most insatiable thirst! A robot that brews beer, named the &apos;Brewbot&apos;, is the newest prototype to reach its target total when it was released on Kickstarter, the crowd-funding website. Despite its obvious appeal towards the masses, the Brewbot took two years to get enough people involved before it eventually hit the market at a remarkable £6900. The founders behind the beer-brewing bot are from Cargo, a Belfast based internet technology company. The whole unit measures four by two foot wide, with the ability to produce 25 litres of beer in one go. The unit acts as a mini-brewery and takes approximately four and a half hours to successfully brew one batch, then the beer must sit and ferment for a week before being consumed. All the technical processes such as temperature and measurement monitoring are carried out by the system, whilst notifications of ingredient additions and other actions are sent to a wifi connected Smartphone. People can use the bot either commercially or as their own personal brewing system, making it easy for anyone to brew their own brand of beer straight from their homes! For beer fans, you can use it to try and re-create beers you&apos;ve tasted abroad or out and about, instead of purchasing expensive exports. With the use of the Brewbot mobile app, you can replicate certain beers with in-built recipes either from other beer companies which have partnered with the Brewbot team, or if you want to create your own recipe to brew yourself. At present, the first few hundred Brewbots are being made in Belfast, but will eventually be manufactured locally in the future. 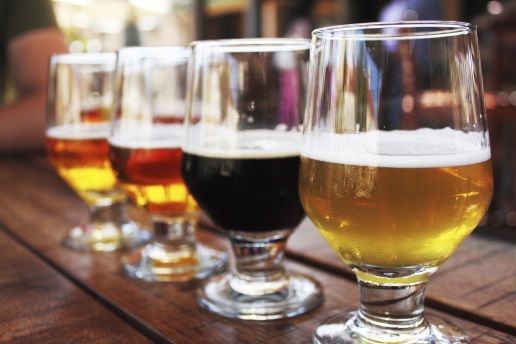 The bot could actually have the potential to have detrimental effects on the brewing industry as the brew tech is making the process available to everyone and the beer produced is considerably cheaper than current beer prices. At European Springs, we love the chance to marvel at the way engineering changes industries and finding new approaches to life through the possibilities of technology. For any enquiries about our services and products, get in touch at 0208 663 1800, otherwise find us on our social media pages, Twitter and Facebook.